StikkiDOTS® stick firmly to all kinds of surfaces without damage or messy adhesive residue. Removable and reusable, adhesive never dries out. waterproof, safe, and non-toxic. Use on wallboard, cinder block, brick, plaster, paneling, pegboard, concrete, metal, glass, plastic, wallpaper, tile, & almost anything else. Use in home, office, classroom, workshop, kitchen, laundry, hobby room, studio, dorm, locker, & almost everywhere else. 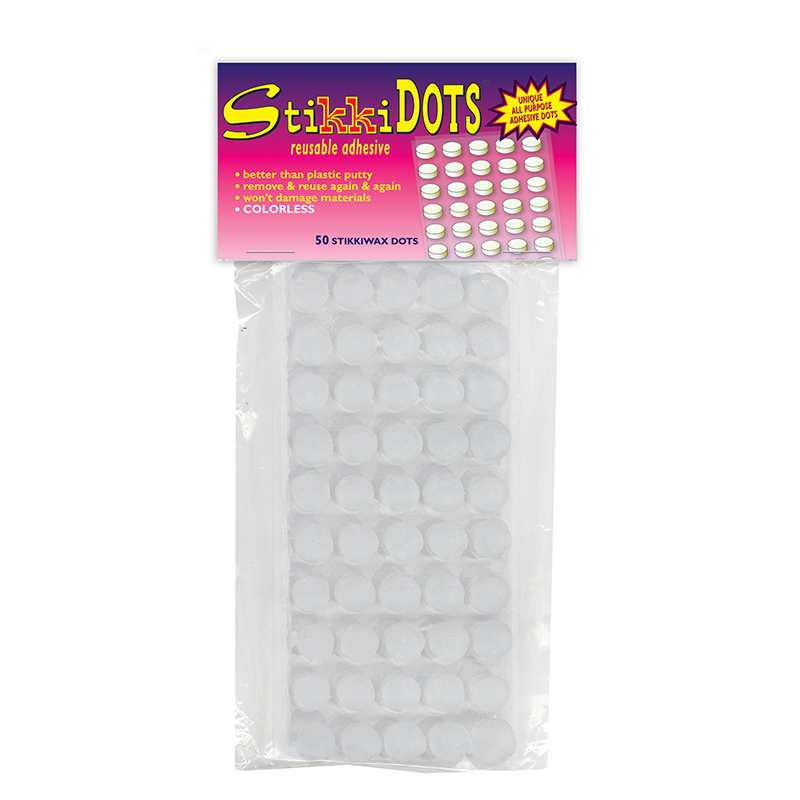 Each pack includes 50 StikkiDots. Sold as 6 packs for a total of 300 StikkiDots. 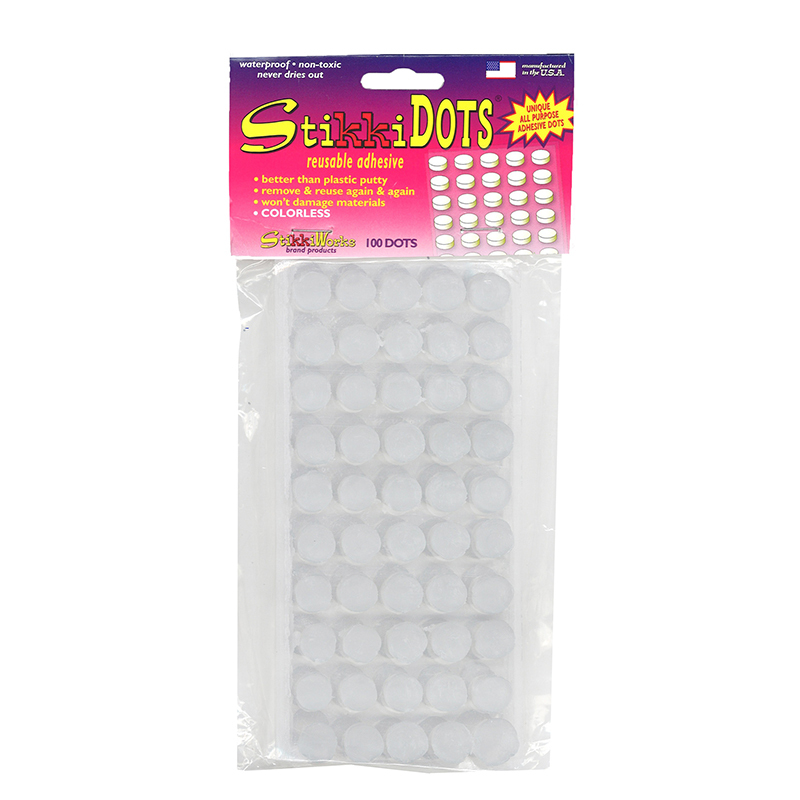 The (6 Pk) Stikki Wax Dots 50 Per Bg can be found in our Wax product category within the Arts & Crafts. 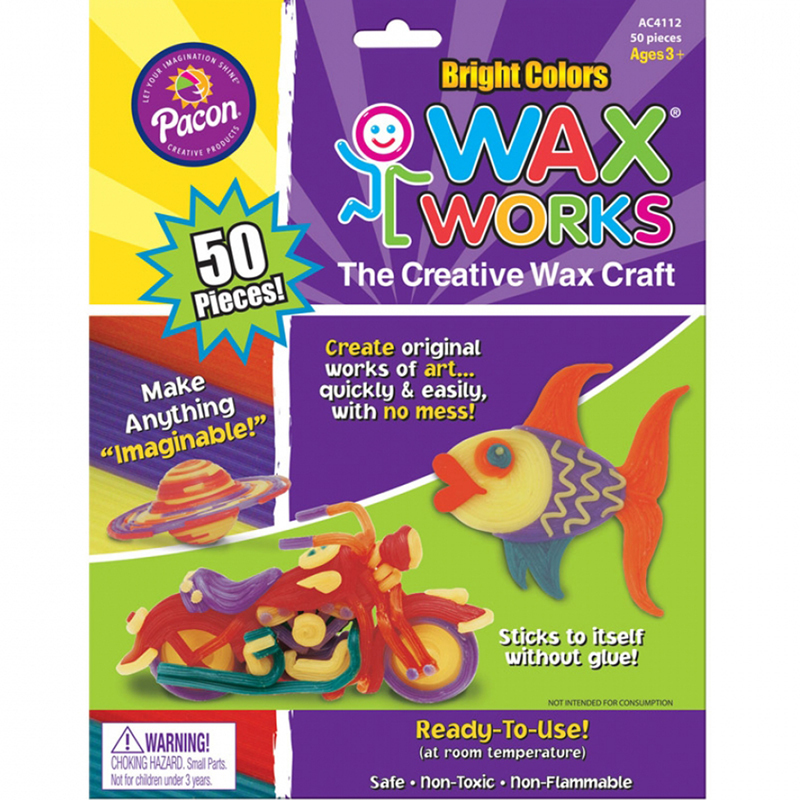 Wax Works® are bendable and moldable sticks that are ready to use and reuse. Thin strips of wax are 10" long. No mess or fuss. Each pack includes 50 sticks in 5 different colors. Reusable, non-toxic and non-flammable. Sold as 2 packs for a total of 100 sticks.